The reason for me picking The Fires to read is going to sound really stupid and dull. For my birthday one year, I received a load of ebooks on a USB stick, some of which were some series that I had been very keen to get. But I'd also never transferred anything like that onto my tablet, so I picked a book at random to test out the process. That book was The Fires and since I never got round to removing it from said tablet, I figured that I might as well give it a whirl. 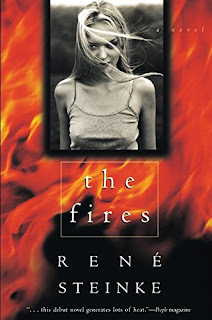 The Fires follows a young woman called Ella in the aftermath of her grandfather's suicide. She finds herself struggling with her grief, which is only compounded by her mother and grandmother's refusal to acknowledge that the cause of death was anything but natural causes. 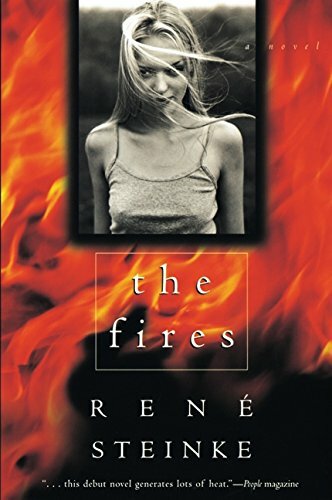 To try and cope, she tries to find her estranged aunt to pass on the news of his passing, and when that isn't enough to quiet her state of mind, she sets things on fire. This is something of an odd novel. Its most obvious strength is the writing style, which is very lyrical and vivid. The problem arises because instead of accentuating intriguing characters and a dark, tormented family drama, it accentuates just how much the characters and plot lack in depth. With regards to character development, Steinke seems to have gone to the school of characterisation that dictates that the key to good characterisation involves mounting dysfunction on dysfunction like you're playing a particularly poor taste bingo game. Ella is a particularly egregious example. She sets fires, then she's an insomniac, then she has alcohol dependency issues from her attempts to medicate her insomnia, then she has body confidence issues stemming from burn scars from a childhood accident. And all of that is before you begin to touch the myriad of tedious micro-traumas that she has heaped on with her family members. What could be interesting character flaws individually becomes a featureless mass of depression. None of her flaws are aggravating, but neither can I really think of any positive qualities. She's not a racist, so there's that. As for the plot, it seemed like it was going somewhere interesting, but then Steinke drops the biggest plot bombshell right in the middle. After that, nothing really tops that shock and the further revelations are a bit weak and predictable in comparison. If they'd been paced in a different order, then it would probably have worked out better, but as it is it's strong until the mid-point then an exercise in stretching out time and patience.